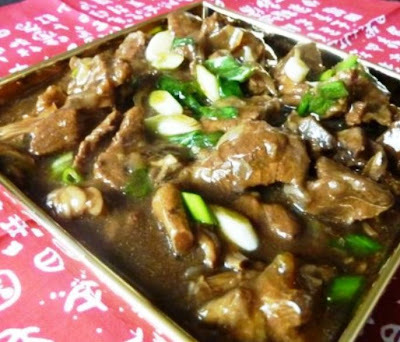 Sauté beef on all sides or until browned. Stir in reserved soaking liquid, 2 cups broth, brown sugar, soy sauce, sake, Sichuan pepper, star anise, clove, dried chilies and cinnamon stick. Remove beef mixture with a slotted spoon. Discard star anise, cloves, dried chilies, and cinnamon stick.